Stuttgart.~ Another Porsche Experience Centre has been given the green light: The world’s seventh customer experience centre from the sports car manufacturer is due to be built at the Hockenheimring. Over the next two years, a 176,000-square-metre area at the heart of the historic circuit will see the construction of a state-of-the-art building complex, a handling course, several driving dynamics areas and an off-road course. The work is due to start towards the middle of 2018, with the experience centre expected to be operational by the end of 2019. 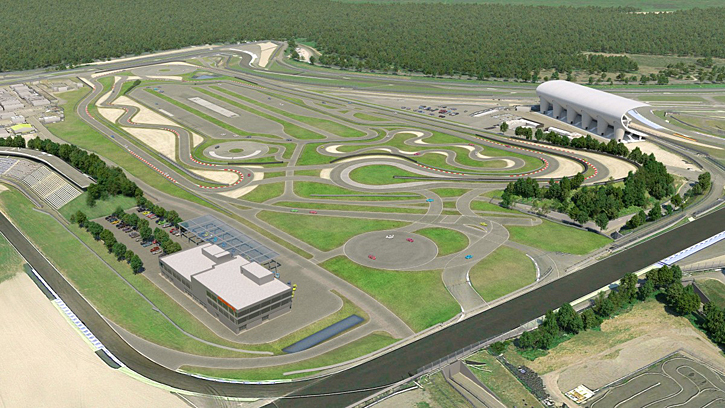 Porsche is implementing this project in collaboration with emodrom-group, the company responsible for the strategic development of the Hockenheimring. 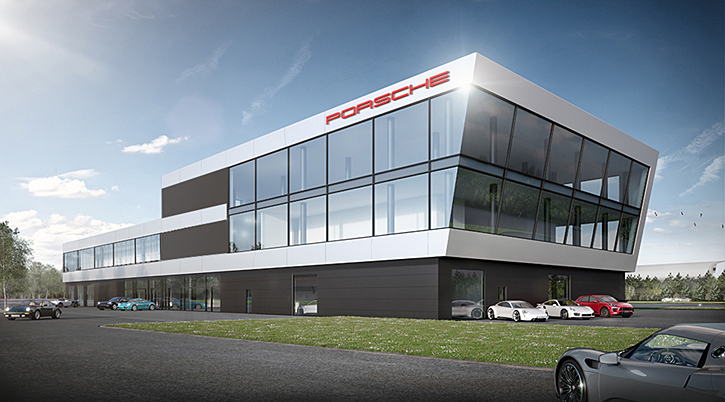 In terms of its architecture, the customer experience centre will follow the example of existing Porsche Experience Centres. Spread over three floors, an area of 4,500 square metres will house event spaces, conference and meeting rooms, a Porsche Selection Shop, a Porsche Classic Lounge plus a restaurant and café. Workshops and exhibition areas for vehicles will be constructed, too. A rapid charging infrastructure will also take the growing importance of hybrid vehicles, plus the requirements of the Porsche Mission E, into account. 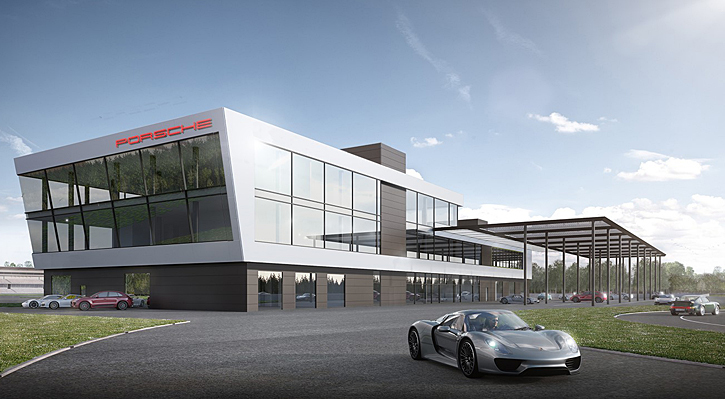 Just like the existing sites located in Leipzig, Le Mans, Silverstone, Atlanta, Los Angeles and Shanghai, the Porsche Experience Centre in Hockenheim will offer a comprehensive driving experience. The 5,200-square-metre off-road course will also provide the ideal conditions for customers to experience the off-road capabilities of the sporty SUV Cayenne and the Macan models. Copyright © 2018 by Iain Shankland. All rights reserved. This entry was posted in Vehicles and tagged #autoblog, #autonews, @PorscheRaces, @Total911, Automotive, ‏ @PorscheCanada, cars, Hockenheimring, Porsche, Porsche Experience Centre, Porsche Mission E, Road Test, Test Drive. Bookmark the permalink.